This is part 2 of the Freelap Friday Five Series, Season Three. To review the past 33 interviews, click here. John Godina is a four-time World Champion in the Shot Put as well as having a Discus Throw Personal Best of 69.91 meters (229′ 2″). He has a Silver medal from Atlanta 1996 Olympics and a Bronze from Sydney 2000 in the shot put. After retiring from competition in February of 2009, he expanded his already established training facility, the World Throws Center, into what is today the World Athletics Center, a training home for Olympians that serves Track and Field athletes and coaches of all levels. Question 1: A few years ago, I knew you as part of the World Throws Center. How did the World Athletic Center come to light and when did you expand to all of Athletics? This is a first of a kind initiative, to bring some professionalism into the sport, with great coaches, therapy, medical, nutritional and great facilities all under one roof. It’s also in a city/state where it’s affordable, as compared to Los Angeles, for example. Can you go into detail on how it is funded? Investors? John Godina: We made the addition of jumps, sprints and hurdles last winter. It actually had been planned for about 5 years as is reflected in the name of our company which was chosen as the World Athletics Center even back then. 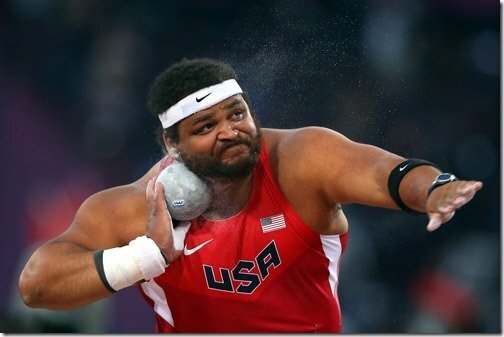 It is a unique approach to the sport, and one that has been successful already in the throws with the World Throws Center. We operate under a free market principle meaning that we offer a palette of services (much broader than just elite athlete training) for a price. We have coaches’ education, athlete clinics and camps, elite athlete training and much more on the way. Some people have wondered how we have been able to make this work so well, and I think at the heart of it is that we have to be good at what we do and we have to be responsive to what is wanted and needed from the athletes and coaches. If not we are out of business. We have no sponsors, investors or funding other than what we produce as an organization, and I am convinced this separates the World Athletics Center from other training and education environments. There are no safety nets. We must produce, analyze, react and change as quickly as possible to ensure that our athletes and coaches are getting what they need from us. At the same time, self-funding has given us a unique stability over time that just can’t be attained if you depend on sponsor dollars to exist. That is a sure-fire way to not be around in ten years. Question 2: You’ve lined up some great Coaches and Directors (Dan Pfaff, Stu McMillan, Andreas Behm) as well as athletes (Aries Merritt, Brad Walker, Steve Lewis). But let’s talk about the up-and-comers, tomorrow’s stars. How many athletes are currently training at WAC? How can WAC help bring professionalism in T&F? Speaking of professionalism, it appears athletes are at the mercy of 3 things: choosing the right agent (to get into meets), getting a decent shoe or kit contract (if any, or not being low-balled to the point of being insulted), and being the mercy of WADA & IAAF where your basic working human rights can be violated with one failed test leaves you unemployed with no sponsors? John Godina: All in all, we worked with about 40 athletes last year either as full time residents or monthly training camps. We don’t talk about impending athlete arrivals until they happen, but that number should be closer to 100 next year. 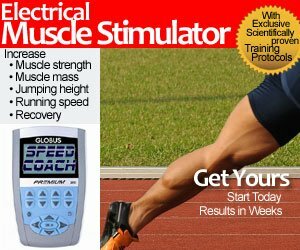 With respect to bringing professionalism to the sport… From our side we want to be the most professional training environment available, but the unique stance we have taken is to say we think highly enough of of the athletes and coaches to predict they will pay for what are hopefully superior services. No other organizations in our sport take this stance across the board. I think that the natural tendency is to think that people don’t care enough about our sport enough to invest in their improvement. We know that is true of a segment of the sport (as in any sport), but we also have seen that given the opportunity athletes and coaches are willing to put skin in the game to improve. Especially when they see that the WAC puts skin in the game as well by reinvesting almost 100% of revenues into improving staff, facilities, education systems and delivery. That’s a truly a professional relationship. With regard to those 3 items you listed… it’s the nature of the sport, and has been so for a long time. The one thing that the general public is unaware of is the amount of control shoe companies have in the sport. They not only fund the sport through sponsorship – which should be applauded because I have still not seen data to prove their investment really pays off – but they also control lots of behind the scenes operations through the control their sponsorship dollars provide. It really would surprise the layperson. It is a double edged sword that is not going away any time soon. Question 3: How was the transition from being an Elite/World/Olympic shot putter to founding the WAC? Was it years of frustration as an athlete? Obviously you saw through your own eyes what worked, what didn’t work , and where the sport could be improved (in the USA at least– though you have International athletes like Steve Lewis, British record holder in the PV) What is the key to a successful foundation for professional track and field athletes? And for high technical events like the pole vault that requires facilities? John Godina: The transition was pretty easy for me. I already had several businesses I had founded during my last few years of my career (I saw the end coming), so I was able to just slide into that in order to distract myself from the retirement blues. Once retired, I was able to focus on a game plan to create the WAC over time based on what I felt the sport needed and would respond to. I think the key to transition for athletes is to begin the transition 2 years early. Not that you want to distract from your career, but without some planning and exploring there will be a lag post-retirement that is difficult both financially and emotionally. The key to a successful foundation for professional track and field athletes is to really be dedicated to success. I know that sounds obvious, but I will tell you that about 80% of athletes I came in contact with were not really dedicated to success. Poor choices, easy ways out, laziness… sounds crazy, but I saw it all the time. From staying out too late to refusing to pay for a cab to the hotel at a track meet if the meet shuttle bus wasn’t there. I knew people who sat in an airport for four hours before a competition because they just didn’t want to pay for cab. That is just a small example, but those are the indicators that there is a problem with that foundation of professionalism that you ask about. It really takes some work to treat the sport in a professional manner. It takes the sport from being just a fun thing to do and transforms it into your trade. Some people just aren’t willing to go that far. That being said, it always remained a fun thing to do for me. John Godina: Well, the throws are easy enough if you just change the weights by a little bit. The other events are more of a sticky wicket. To do a blanket reset is just not possible without discrediting a lot of people who may not deserve it. The best idea I could come up with was to pick a year, draw a line and have all records on either side of that date be “pre” records and “post” records and just treat the “post” records as the ones we use today to measure ourselves. If anyone has a better idea I would love to hear it! Question 5: A lot of youngsters think the throws are just pure strength and some coordination. But speed plays a huge role in it too. Just watch a Jacko Gill YouTube video and watch how this young laddie trains. (okay, this may be a very bad example :) Can you talk about the importance of speed, power, and training the entire force-velocity curve for throwers? Lastly, when will we see more throwers double in the shot/discus, or are they both highly technical events, despite the spin? John Godina: Throwing is the most powerful sport in track and field. Period. Shot put is measured as the most powerful sport of all sports (even more than Olympic lifting). Without high speed of movement power does not exist, thus throwers are always training like heavy sprinters. Olympic lifts, sprints, bounding and speed lifts are all critical portions of a thrower’s training which cannot be omitted. What separates the good from the great in throwing is not who can squat or bench more, it is who can clean the most or sprint the fastest or jump the highest. All of this comes in conjunction with technical proficiency. Technical proficiency can make up for physical deficiencies. This is what makes throwing great at the high school level especially. If a lesser athlete is willing to put in the work they are able to close to the gap on better athletes who do not. This also explains why the spin is a revolution (pardon the pun) in the shot put. The spin effectively raises time for acceleration of the implement by over 50%. This makes up for a lot of physical deficiencies. Case in point: Reese Hoffa. Reese would never have won a World Championship gliding. He is a good athlete, but by no means is he a great athlete. He just learned how to use every 100th of a second to accelerate the shot. In the glide that acceleration would have been cut short. No level of physical training is a substitute for technical proficiency at the top levels and vice versa. Doubling in the shot and discus at the world level is rarely seen any more mostly because no athletes in other countries are forced into doing multiple events like American high school and college athletes. If you leave it to us as Americans to be the two event people, then you have to find the person in our country who can do both at the World Class level… not easy to find. It’s not like it will never happen again. The stars just have to line up right, and that only happens every few decades. Great interview. Great views on shot put. I didn’t get the thing about human rights though. Yes, great interview. Makes me want to try the shot put and discus to see which I like more, and then train accordingly. Enjoyed the interview. Not sure if Q4 is dancing around the whole drug issue but, if it is, I think it’s quite naive to think drugs play less of a role today at the highest level of the sport. I disagree. Before any fool could bypassed drug testing. Now you really need a professional team with a lab etc… I guess in very well funded sports like football, soccer, cycling etc… they can easily manage to have such a logistic which explains why there is no positive drug test in those sports. For T&F, IMO, it is different though, few people can afford such a program.